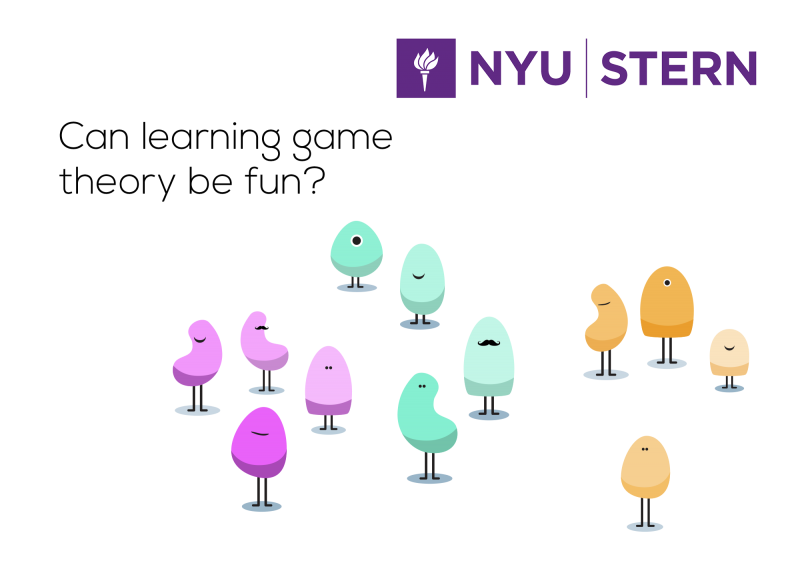 We collaborated with Professor Adam Brandenberger of NYU’s Stern School of Business to create a series of animations that break down and parse some of the more difficult concepts of Game Theory. While Game Theory is an incredibly important principle for business students, understanding the mathematical approach to strategic decision making can be a rather difficult task. Our aim was use narrative and design to explain and clarify the core elements of Game Theory to business students and lay people alike. By using colorful illustrations, fun characters, and a friendly, bubbly animation style, we were able to bring this complex subject to life in a fun and captivating way for the classroom.